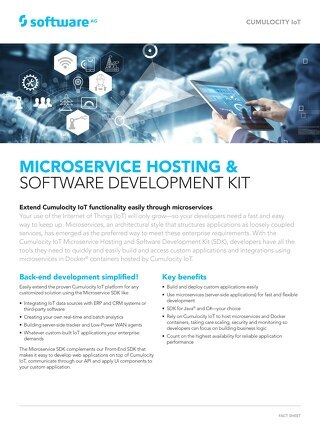 With the Cumulocity IoT Microservice Hosting and SDK, developers can easily build and access custom applications and integrations using microservices in Docker® containers hosted by Cumulocity IoT. 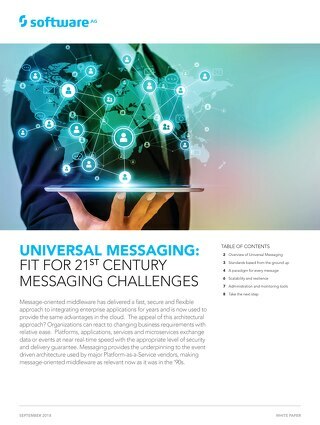 Software AG Universal Messaging securely delivers data across different networks, between applications, devices and the IoT. 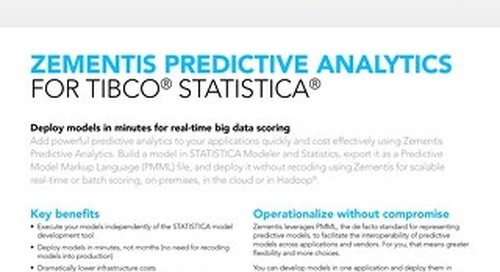 Learn more about this real-time messaging platform. 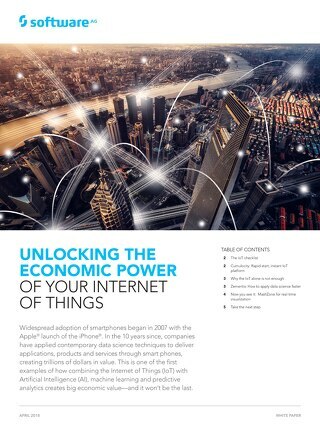 See our IoT checklist and get tips for quickly realizing economic value from the IoT. 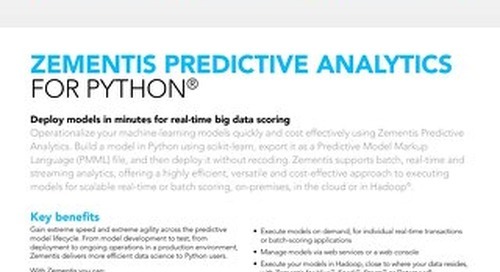 Tools to help: Cumulocity IoT platform, Zementis predictive analytics and MashZone NextGen visual analytics. 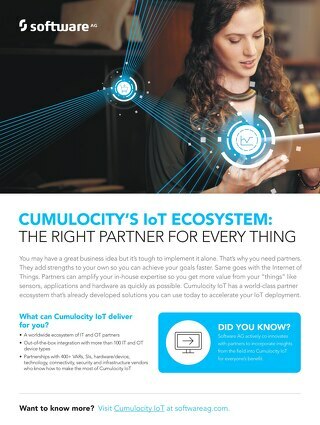 With the Cumulocity platform for Internet of Things, you can access a world-class partner ecosystem that’s already developed solutions you can use to accelerate your IoT deployment. 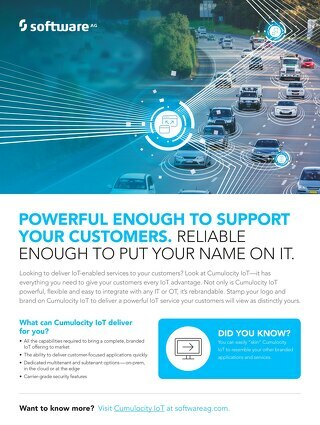 Looking to deliver IoT-enabled services to your customers? 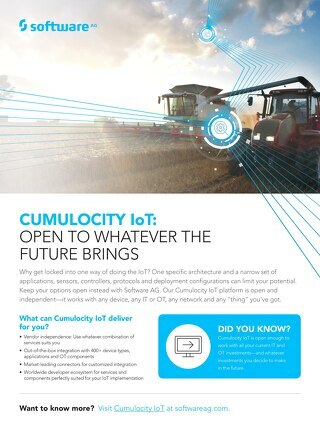 Look at the Cumulocity platform for Internet of Things. 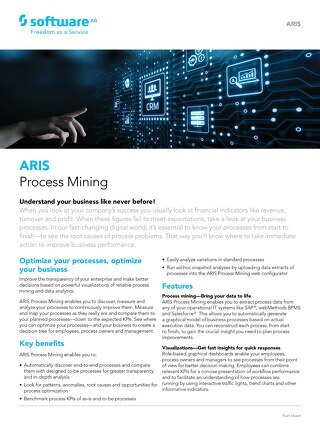 Not only is it flexible and easy to integrate with any IT or OT, it’s rebrandable. 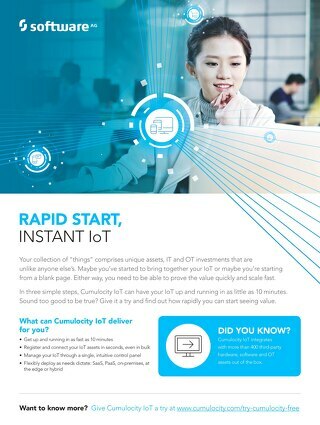 Prove the value quickly and scale your platform for Internet of Things fast. 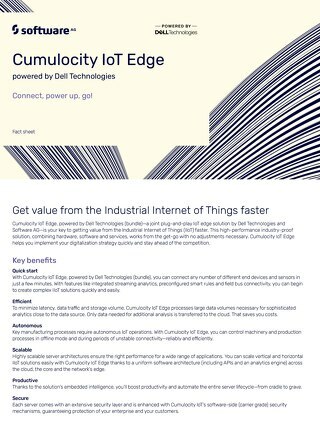 In three simple steps, Cumulocity IoT can have your IoT up and running in as little as 10 minutes. 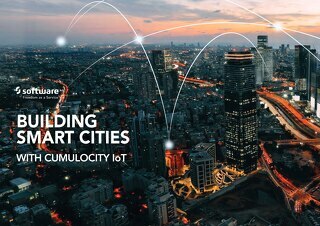 Our Cumulocity platform for Internet of Things is open and independent. It works with any device, any IT or OT, any network and any “thing” you’ve got. 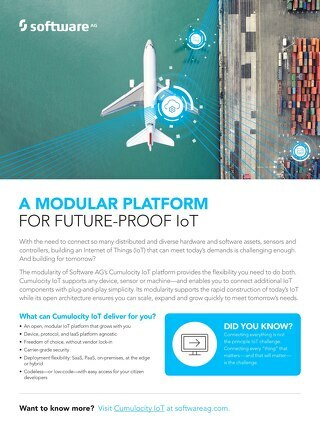 The modularity of the Cumulocity platform for Internet of Things provides the flexibility to quickly build today’s IoT while its open architecture ensures you can scale quickly for tomorrow. 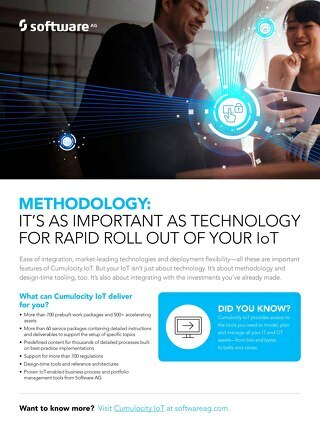 Methodology—it’s as important as technology when rolling out your platform for Internet of Things. 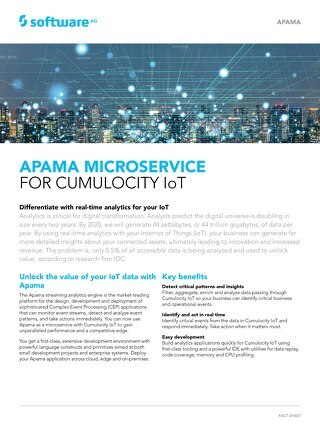 See how the Software AG Cumulocity approach makes a difference. 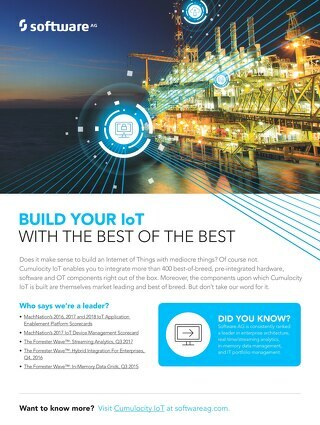 Take advantage of market-leading components when building your platform for Internet of Things with Software AG’s Cumulocity.